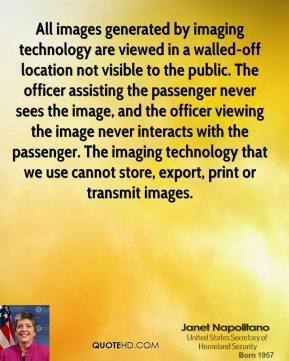 All images generated by imaging technology are viewed in a walled-off location not visible to the public. The officer assisting the passenger never sees the image, and the officer viewing the image never interacts with the passenger. 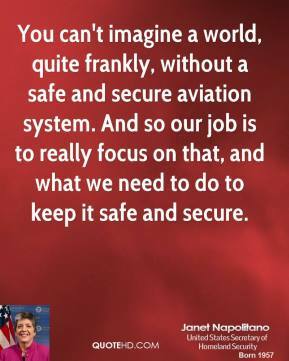 The imaging technology that we use cannot store, export, print or transmit images. 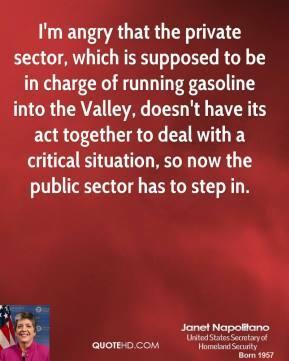 I'm angry that the private sector, which is supposed to be in charge of running gasoline into the Valley, doesn't have its act together to deal with a critical situation, so now the public sector has to step in. 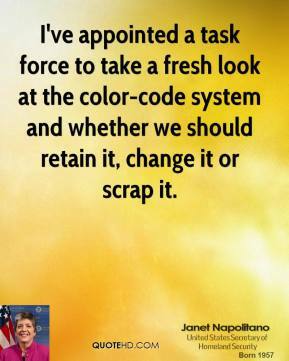 I've appointed a task force to take a fresh look at the color-code system and whether we should retain it, change it or scrap it. 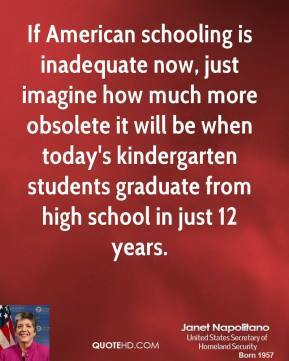 If American schooling is inadequate now, just imagine how much more obsolete it will be when today's kindergarten students graduate from high school in just 12 years. 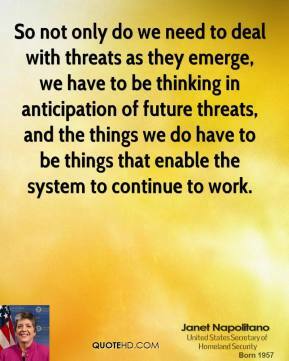 Let me be very clear: We monitor the risks of violent extremism taking root here in the United States. 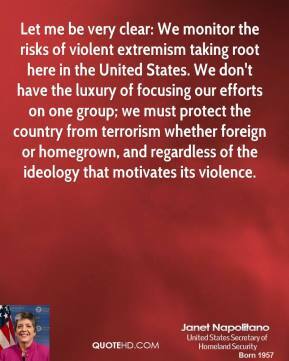 We don't have the luxury of focusing our efforts on one group; we must protect the country from terrorism whether foreign or homegrown, and regardless of the ideology that motivates its violence. 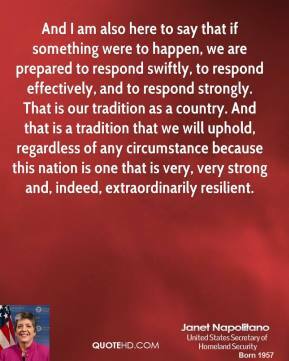 Now, a lot of what we are doing right now, quite frankly, is because of what happened on Christmas. 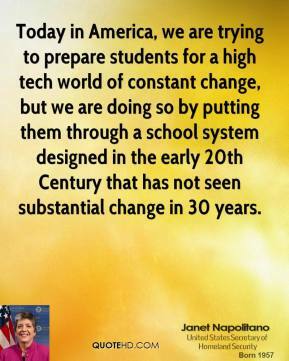 Many of the things were kind of in the works. 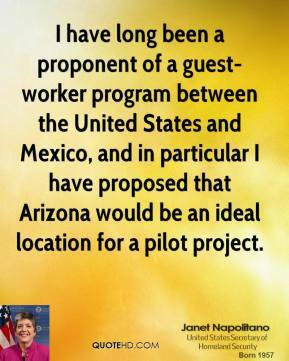 We were already planning, for example, the purchase and deployment of advanced imaging technology. 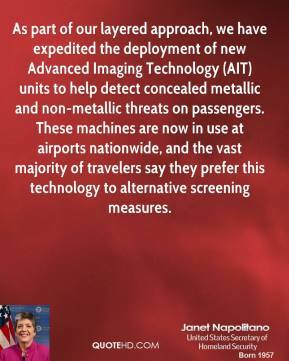 You call them body scanners. 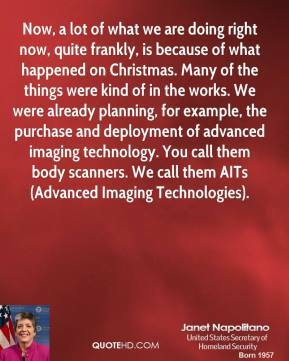 We call them AITs (Advanced Imaging Technologies). 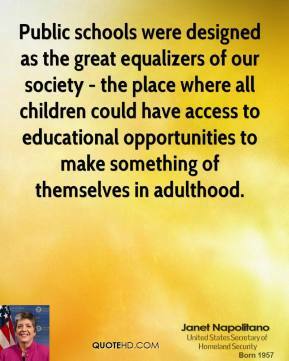 Public schools were designed as the great equalizers of our society - the place where all children could have access to educational opportunities to make something of themselves in adulthood. The great thing about this town hall format is that it allows us to hear what's on the minds of Americans. 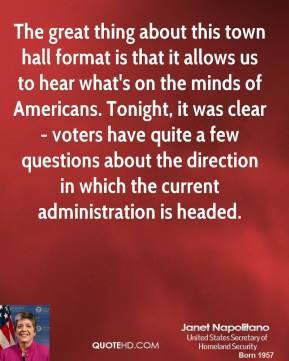 Tonight, it was clear - voters have quite a few questions about the direction in which the current administration is headed. 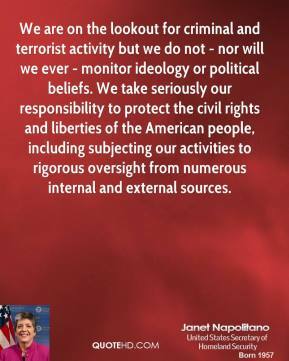 We are on the lookout for criminal and terrorist activity but we do not - nor will we ever - monitor ideology or political beliefs. 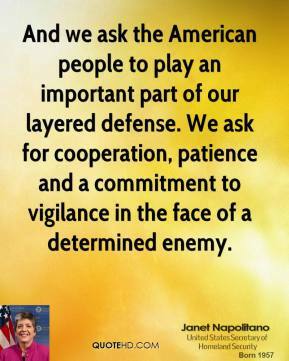 We take seriously our responsibility to protect the civil rights and liberties of the American people, including subjecting our activities to rigorous oversight from numerous internal and external sources. 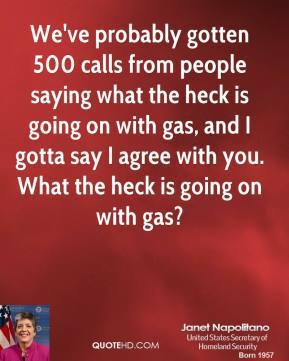 We've probably gotten 500 calls from people saying what the heck is going on with gas, and I gotta say I agree with you. What the heck is going on with gas? 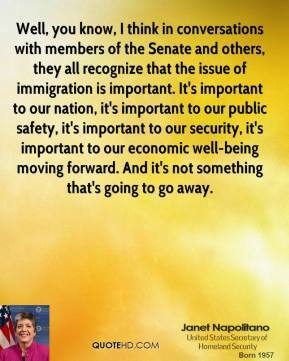 Well, you know, I think in conversations with members of the Senate and others, they all recognize that the issue of immigration is important. 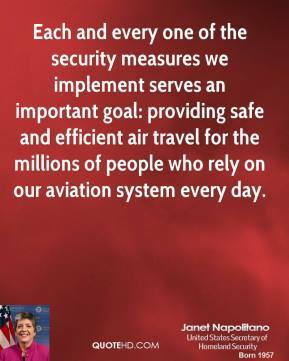 It's important to our nation, it's important to our public safety, it's important to our security, it's important to our economic well-being moving forward. 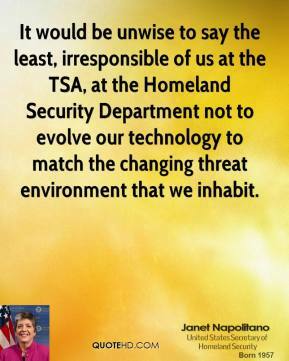 And it's not something that's going to go away. 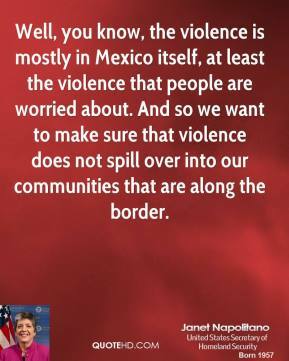 Well, you know, the violence is mostly in Mexico itself, at least the violence that people are worried about. 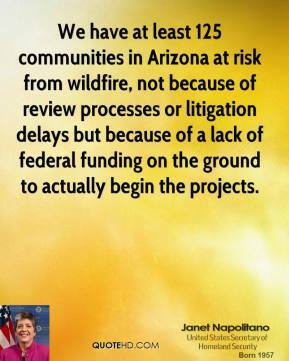 And so we want to make sure that violence does not spill over into our communities that are along the border. 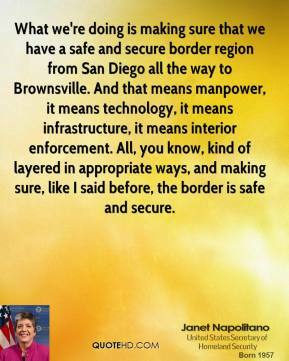 What we're doing is making sure that we have a safe and secure border region from San Diego all the way to Brownsville. 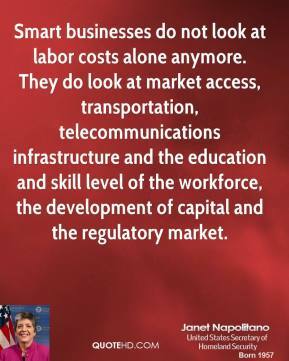 And that means manpower, it means technology, it means infrastructure, it means interior enforcement. 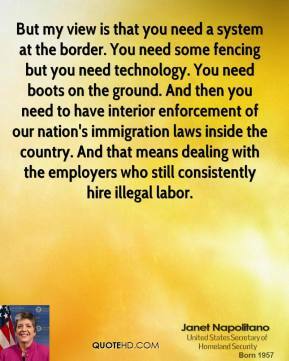 All, you know, kind of layered in appropriate ways, and making sure, like I said before, the border is safe and secure.